We had members from the two rival gangs show up at our house last night. Actually they both showed up at different times in our kitchen. First a member of the the (Road Side) Scorpions showed up and started claiming the area by the laundry room and the kitchen as his turf. This was around 9pm and I quickly remedied the situation by locking the scorpion up in a temporary lock-down facility/container. 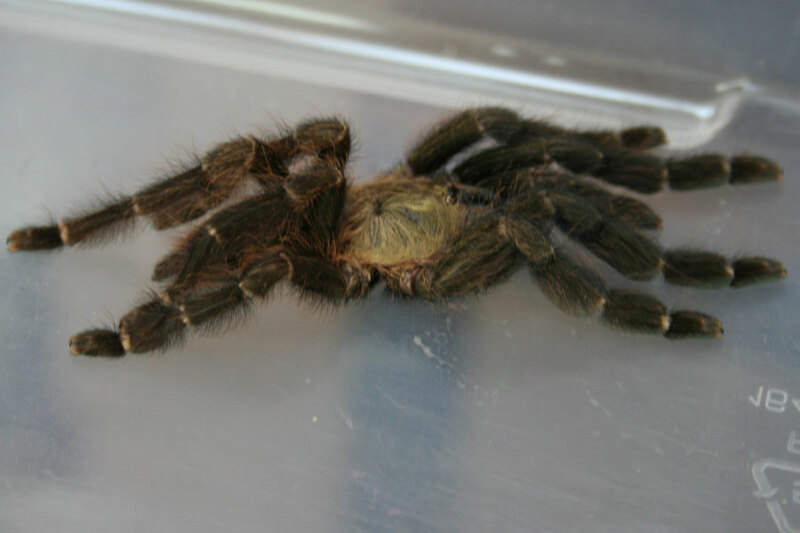 Apparently word had gotten out to the rival gang across the way, and one of the members of (Pica Flora) Tarantulas came to claim his share of the kitchen and living room later on that night. He was spotted and then surrounded by our local neighborhood watch dog force, who called in for back-up around midnight. 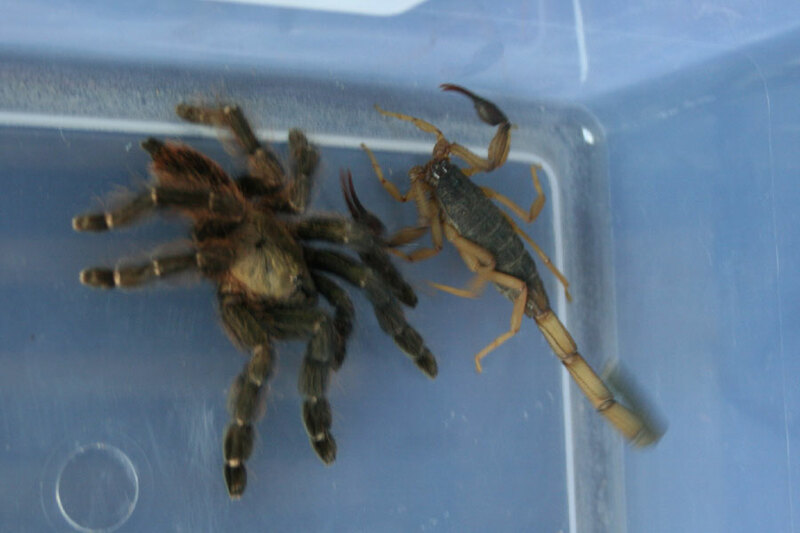 The Tarantula was contained and put into a lock-down facility next to his rival Scorpion gang member. The next morning, they both faced the judge together who was accompanied by the local watch dog force, and a few members and representatives from the neighborhood Anti Gang Collation – who were basically members of the intermediate community. 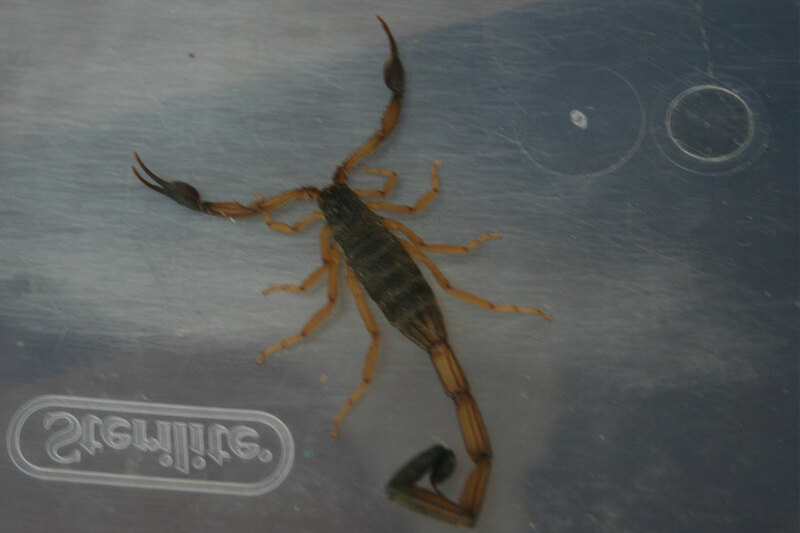 Apparently looks or words were exchanged between to the two rival gang members while they were in lock-down because the member of the Scorpions was on the attack as soon as he had access to the Tarantula. 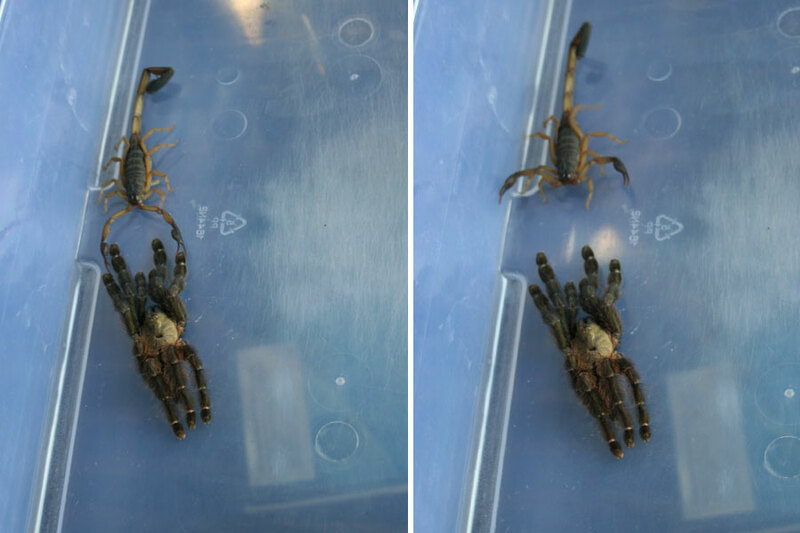 Scorpion was contained and had to sit in lock-down during the rest of the arraignment. Both members of the rival gangs were sent off with a warning and a trespassing violation. We can only hope that they have learned their lesson, but only time will tell.